Why Make Bison Dung Paper? The first question before all others is, "Why in the world would anyone do this?". It is a good question, however the answer is simply, "Why not?". Basically, as artists, we are always looking for unique ways to express ourselves. We have both always had a good sense of humor (as twisted as it may be) and have also possessed a love for the Rocky Mountain wilderness. Creating paper out of dung was inspired by a successful group in Thailand that was creating paper from the dung of elephants. After reading about them and their success, CLICK-CLICK-CLICK, we realized that right in our own back yard were herds of the largest land mammals in North America, the American Bison! Not only large, but exciting to watch. The bison conjures up images of the wild west and untamed lands yet to be explored. Thus, our paper has also captured some of the bisons wildness in its rough and natural appearance, color and texture. Bison Dung Paper is interesting. As artwork, it creates a wonderful conversation piece. It is truly wonderful how odd, yet beautiful dung can be when processed into paper and used as an art medium. What is Bison Dung Paper Made Of? When we developed the idea of creating paper made from bison dung, the theme we considered of greatest importance was that of recycling waste. Not by simply recycling the waste of the bison, but to also positively impact our environment by recycling waste headed for the local landfill. Our papers not only contain bison dung, but also a portion of pre-consumer waste paper that helps to create strength. Bison dung alone creates a beautiful, but very fragile sheet of paper. The natural diet of the American Bison contains little more than wild grasses and foliage found naturally growing in the bison's environment. These fibers, although usable, are not strong enough on their own to create a versatile sheet. So, to create a more usable sheet of paper, we use waste paper that would otherwise be sent to a landfill. Now, who can't see the beauty in this? Bison chips are collected only after thoroughly drying in the sun. A pretty good question, however the answer is thankfully "no". 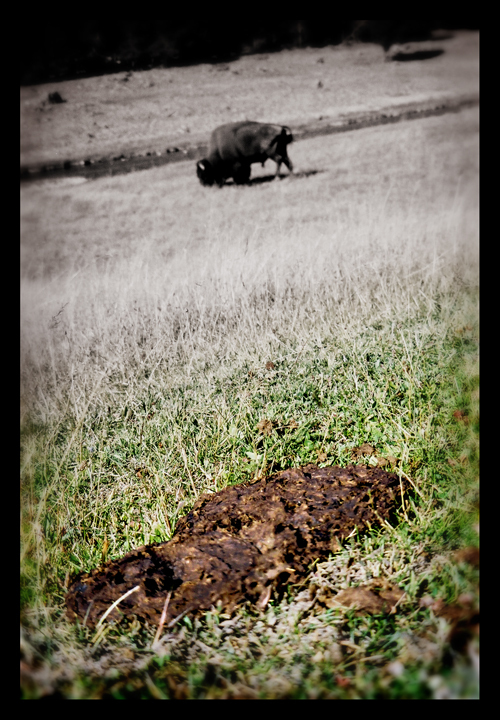 To create Bison Dung Paper, the dung must be processed and completely sterilized. We use an all natural boiling process which makes handling our paper completely safe and odor free. Dung of all kinds are loaded with naturally occuring bacteria. 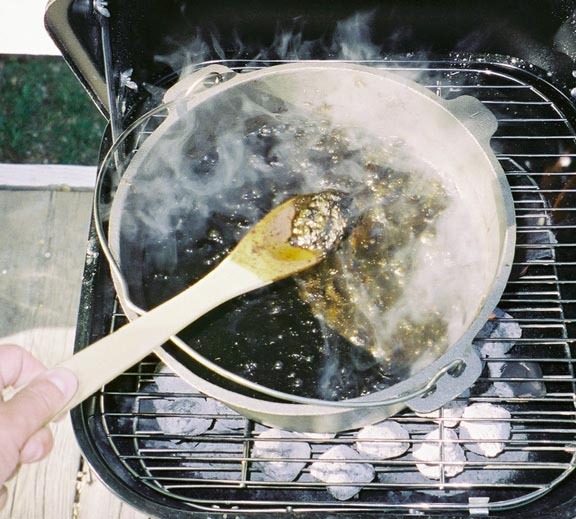 Bacteria produce stinky, sulfur or nitrogen-rich organic compounds such as indole, skatole, and mercaptans, and the inorganic gases hydrogen sulfide and methane. A fresh pot of boiling bison dung. Where Does The Dung Come From? The pulp in it's natural state. For the sake of purity, we would love to use bison dung collected within the boundaries of Yellowstone National Park, however, it is a federal crime to remove any such item from the area. To understand why, you must first consider the most important reason the National Park was established. It was for the preservation of the natural state of the environment and to leave it as unchanged as possible. It was also to create and protect this special place for recreation, education and enjoyment for generations to come. You may ask, "Well, why would it matter if I removed a few bison chips?". The answer is simple. It is because there are many creatures and organisms that depend on the chips for food, shelter and nourishment. Owls and eagles often use dried dung for building warm nests. The dung also works as a natural fertilizer providing moisture and nutrients for plants, bacteria and a variety of fungus. Also, many insects use the dung as food, such as the dung beetle. 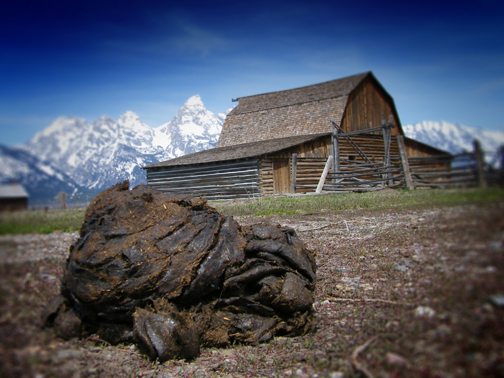 This all having been said, the dung we collect comes from a private property in Montana near the towns of West Yellowstone and Gardiner, Montana. It is here that the bison often migrate outside the park each winter and early spring. Here, they graze on the natural wild grasses of the Greater Yellowstone region. Why Are Some Sheets Of Bison Paper Different In Color? The color of each sheet of bison dung paper made may change slightly depending on the bison diet. A change in environment, season or health may create a slightly different color of dung. It simply depends on what the primary source of dietary fiber may be at different times of year. If you are familiar with some of the other "Dung-Papers" from around the world such as that made from elephant dung, you will notice that they come in a variety of colors. We have chosen not to dye our papers and will never use chlorine bleach to lighten our paper. We feel it removes the true nature and rustic characteristics of the dung fibers and is also less friendly to the environment. What is the point of making paper from dung if you are going to make it look like any other old hand-made paper? How Is Bison Dung Paper Made? 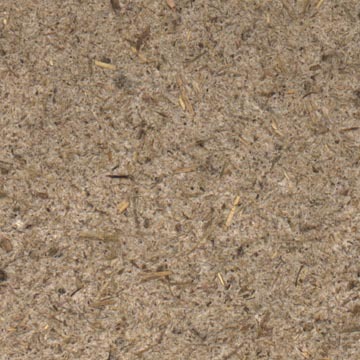 A new sheet pulled from the pulp slurry. We use an ancient method of paper-making called "The Dip-Mold Method". After boiling our dung, we create a "slurry" (a mixture of dung and recycled paper pulp). We then dip our "screen, mold and deckle" (tools through which the pulp is sifted) into the slurry, pulling out of the watery mess, an even layer of the mixture. The newly formed sheet is then transferred and pressed to a "couching sheet" (a flannel cloth material) for drying. Of course this is a very, very basic description, however our process is a bit more complex as to allow us to produce a very smooth sheet consistently. 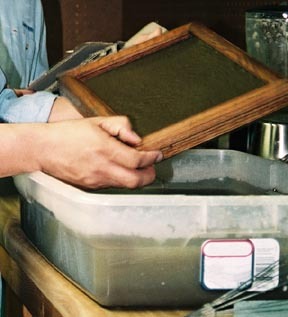 Many methods of paper making are described in a variety of paper making books available at most libraries and book stores. There are few secrets, however our "recipe" came about after much trial, error and experimentation. It was a lot of time spent with hands soaking in buckets of dung.